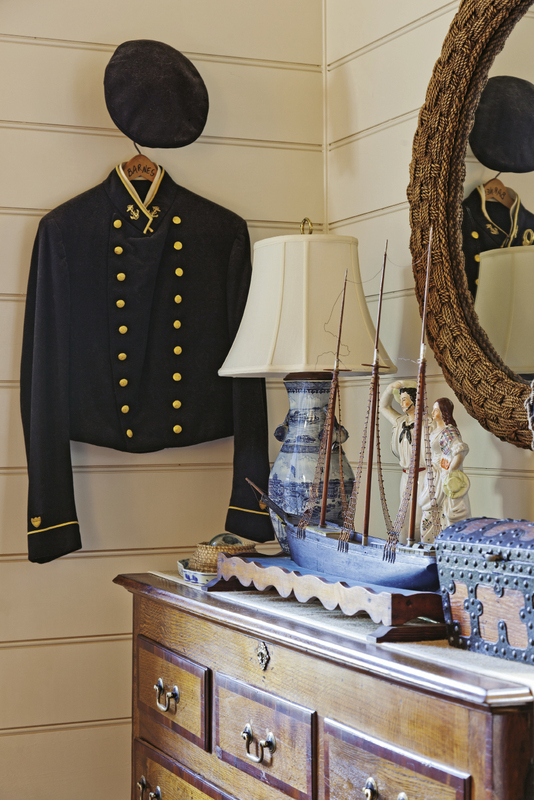 An antique seafarer’s uniform graces the second-floor bedroom. 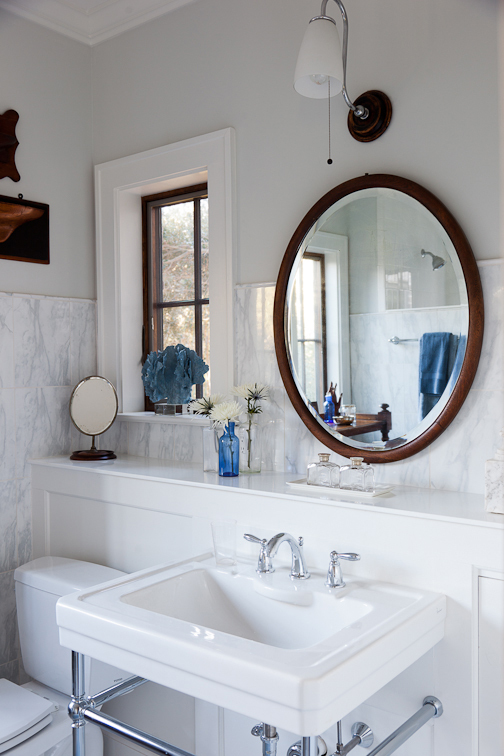 A blue-and-white color palette continues the maritime theme. 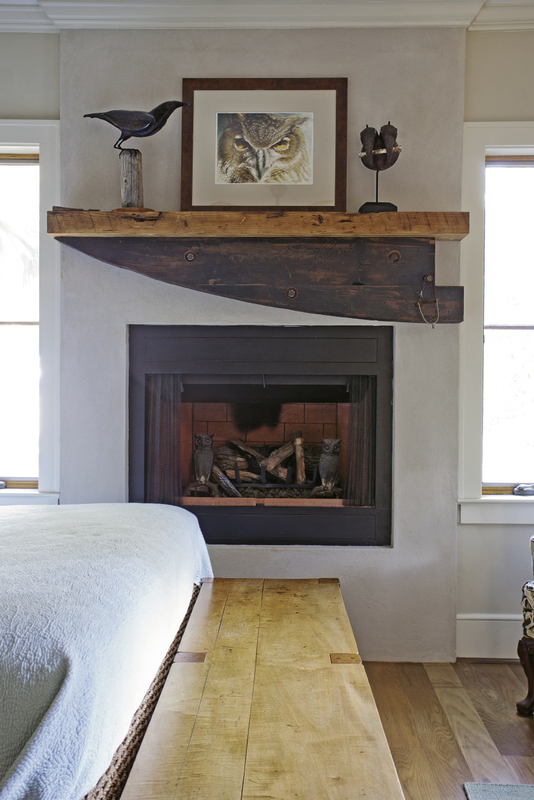 A hunk of wood found roadside on the Charleston Neck was revamped into a fireplace mantel in the first-floor bedroom. A maritime photo gallery provide spades of old-world charm. 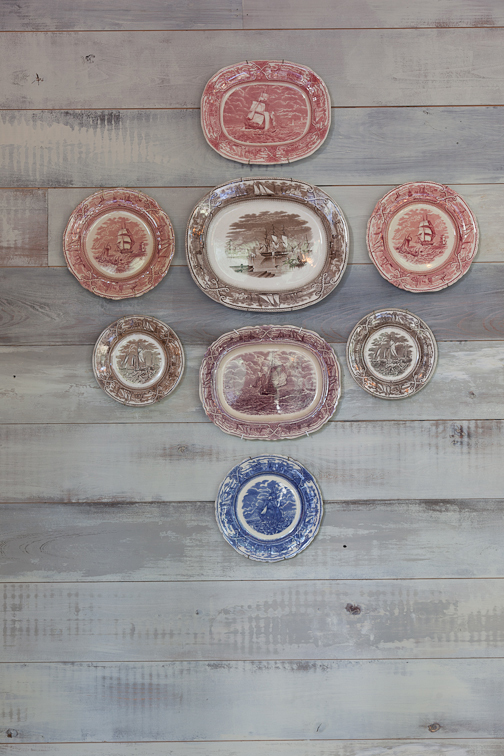 Becky Hollingsworth worked alongside a local artist to faux-age the cypress beams in the dining room. 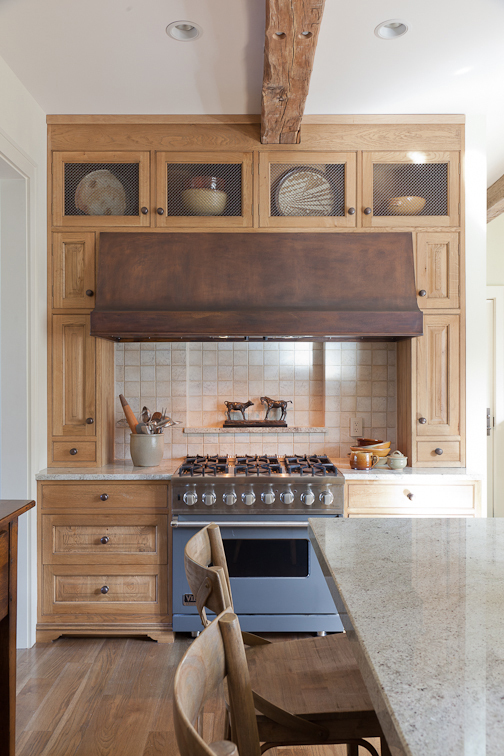 The couple’s furniture-style kitchen is composed of armoires and cabinets customized with varying finishes to create a collected look. Becky Hollingsworth at work in the breakfast nook. 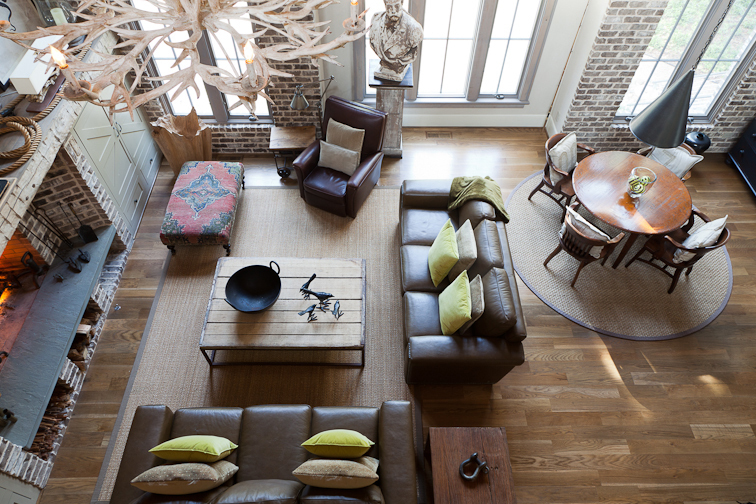 High ceilings and exposed brick recall downtown’s historical cotton warehouses. 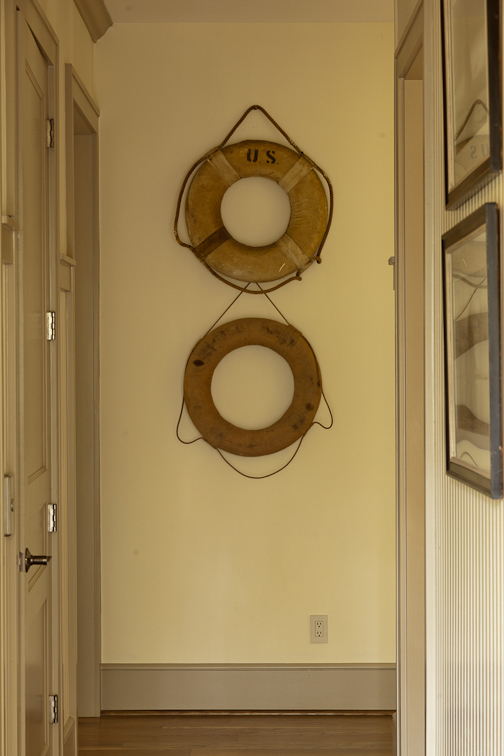 Industrial details, such as iron railings, and nautical touches, such as the anchor and ropes displayed on the mantel, are touchstones of the owners’ personal style. The glass entry aims to look like a new addition linking two old buildings. 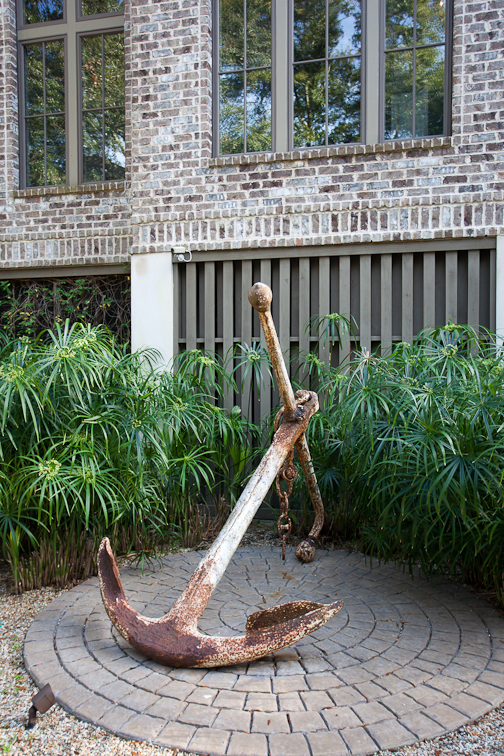 A vintage anchor lends patina to the home’s facade. 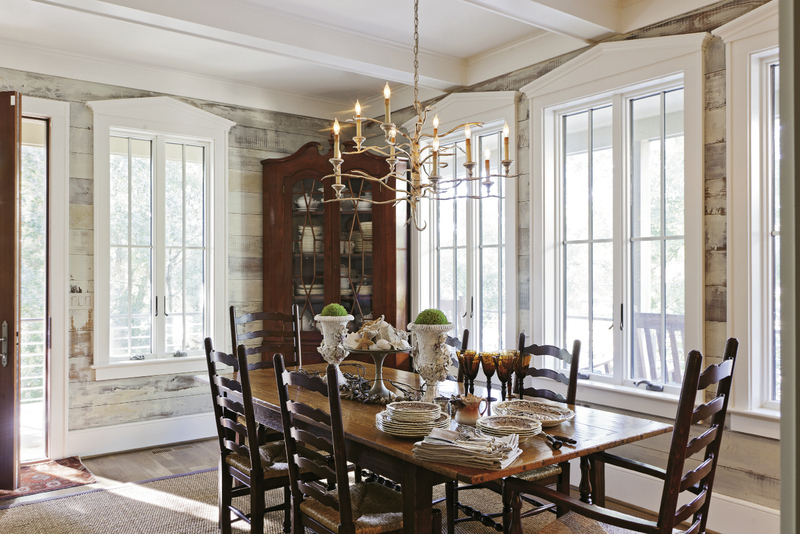 When Becky Hollingsworth and longtime partner Deedie Cooper began dreaming up designs for a home inspired by Charleston’s rich history, they didn’t go the predictable row-house route. 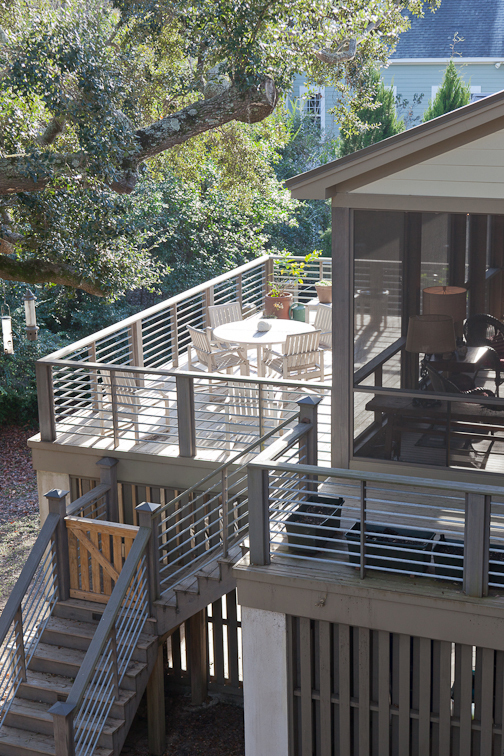 Instead, the creative retirees took their architectural cues from the 19th-century cotton warehouses that dot the peninsula. 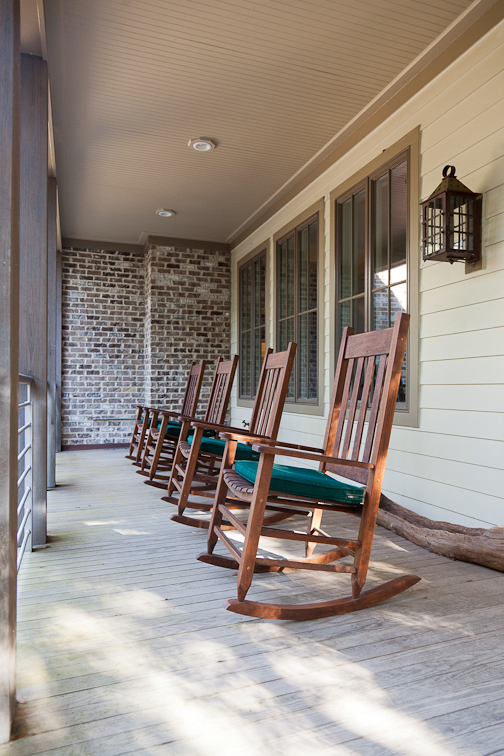 Boasting high ceilings, exposed brick walls, and industrial ironwork, these historical beauties sprung up to support the city’s then-booming cotton trade; many have since been retrofitted into rustic-cool hotels, condos, and restaurants. 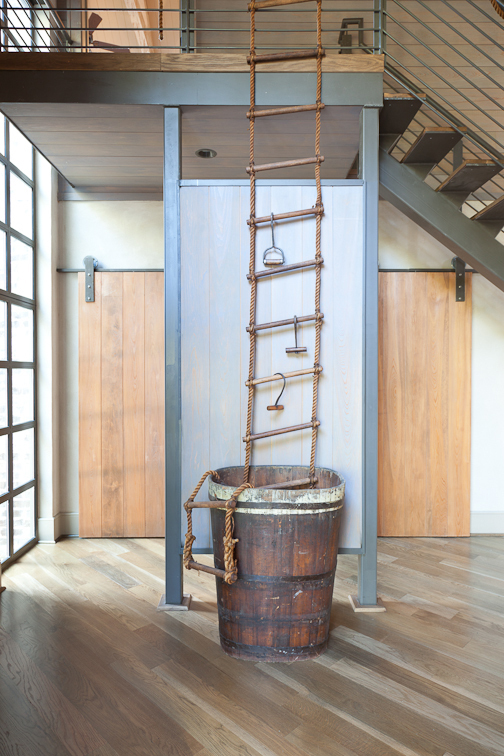 “We loved the idea of incorporating those industrial elements to make it feel like a working man’s house,” Cooper explains. 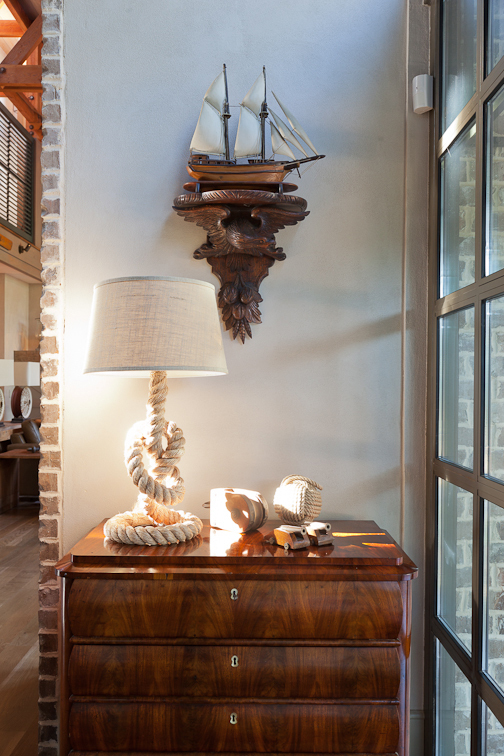 Add to that décor that draws from Hollingsworth’s collection of vintage maritime memorabilia (sailor’s uniforms, centuries-old life preservers, Navy flags, you name it), and a clear vision of their dream coastal abode began to take shape. 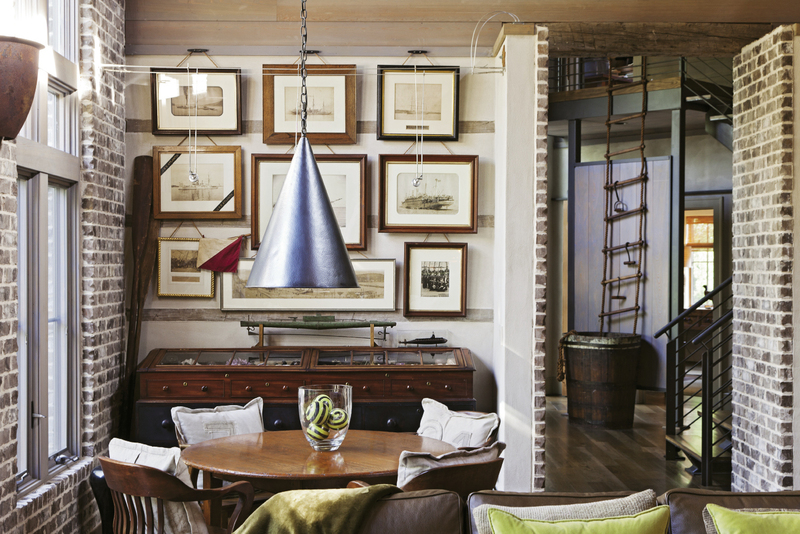 And though construction of the 4,200-square-foot home was completed in 2012, the use of salvaged materials—and new materials cleverly altered to look reclaimed—conveys a mood that’s more soulful and antique. 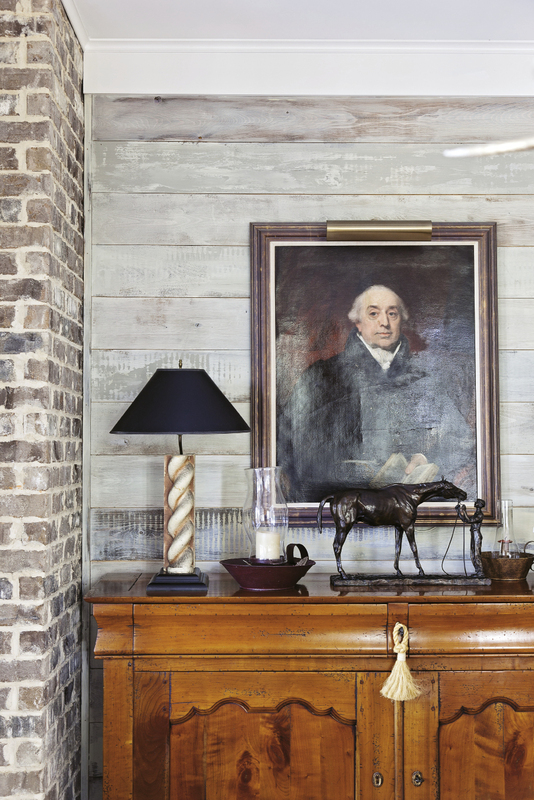 Roughed-up telephone poles were rescued from a coal pile in Walterboro and reimagined as interior columns in the living room. Steel wall sconces that grace the same room were discovered in a second-hand shop and given a few treatments of acid to enhance their patina. 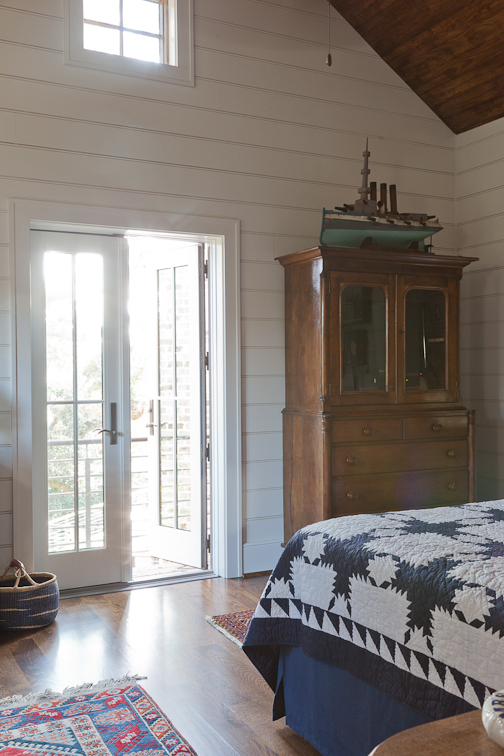 And a hunk of heart pine found roadside on the Charleston Neck became a fireplace mantel in the bedroom. 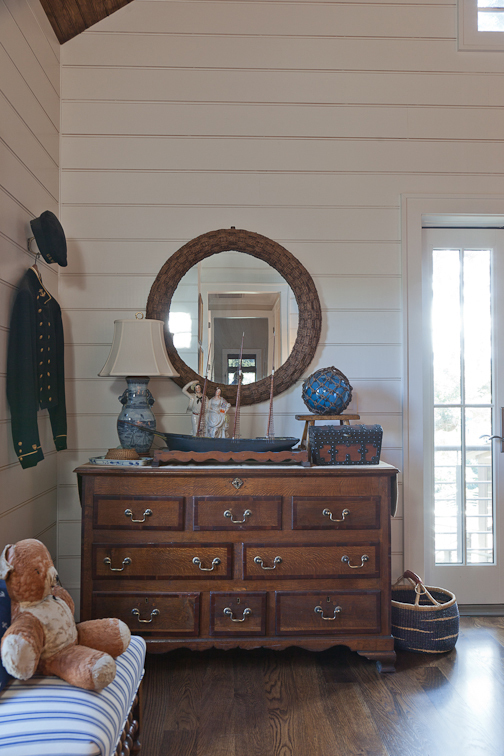 “I’m a collector, and it’s all about the hunt for me,” Hollingsworth says, adding that she filled six storage units with salvaged finds during the five years it took to design and build the home. 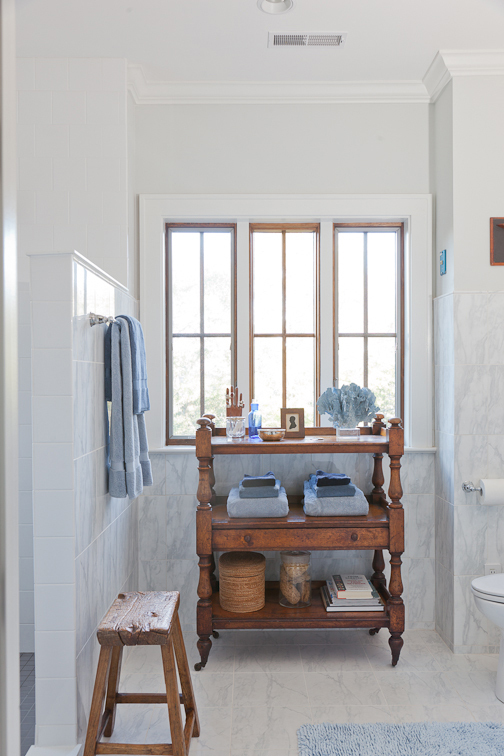 The couple’s love affair with Charleston began more than two decades ago when they decided to build a very different house, a charming little one-room marsh-front vacation cottage on Edisto Island. Back then, they lived and worked in Atlanta and craved a restful escape by the sea—but Hollingsworth soon discovered she wasn’t one for resting. “I found myself driving 100 miles a day going to Charleston and back,” she recalls. 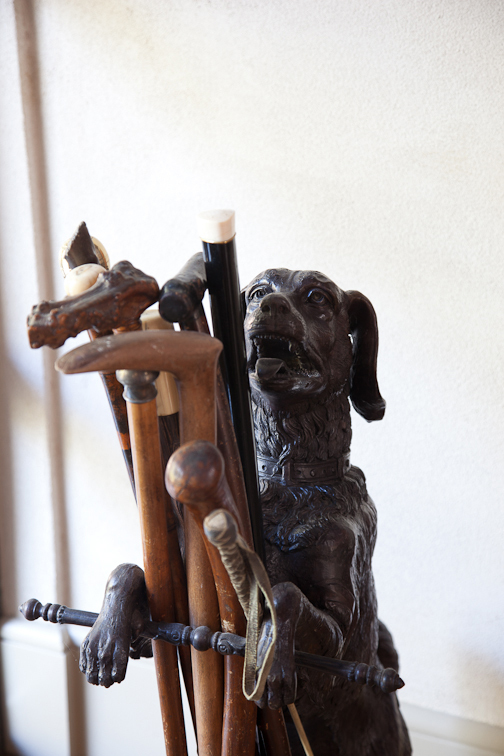 She loved the bustle of downtown and was especially drawn to the many antiques shops brimming with storied treasures. “Finally, I realized we ought to be closer to the city,” she says. 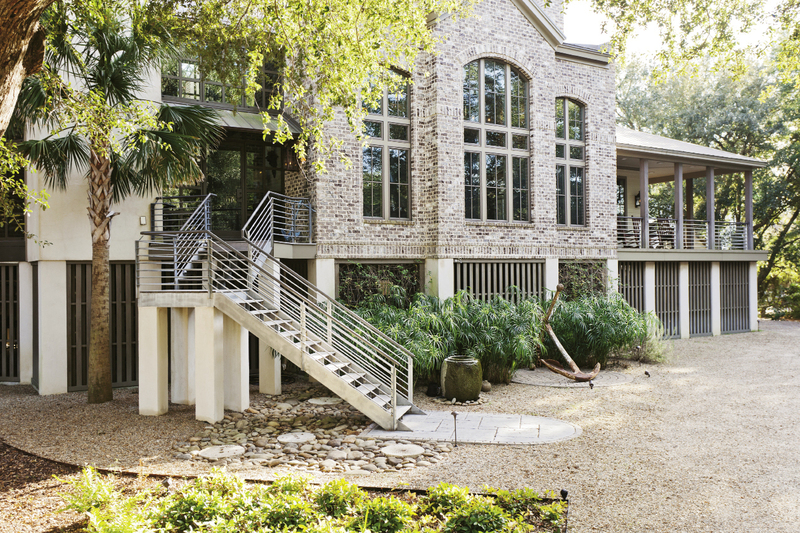 After they sold the cottage, they bought a harbor-view condo, but as they prepared to move to Charleston permanently, they began thinking about a bigger home with a yard. “Deedie likes to play in the garden, and I wanted a nice studio space where I could paint my watercolors, rather than using a converted bedroom,” Hollingsworth explains. They found the perfect setting in two adjoining lots near Remley’s Point in Mount Pleasant. Though it’s only a five-minute drive from the peninsula, the wooded site feels off-the-beaten path, tucked away from main roads but just a short walk from the waterfront. 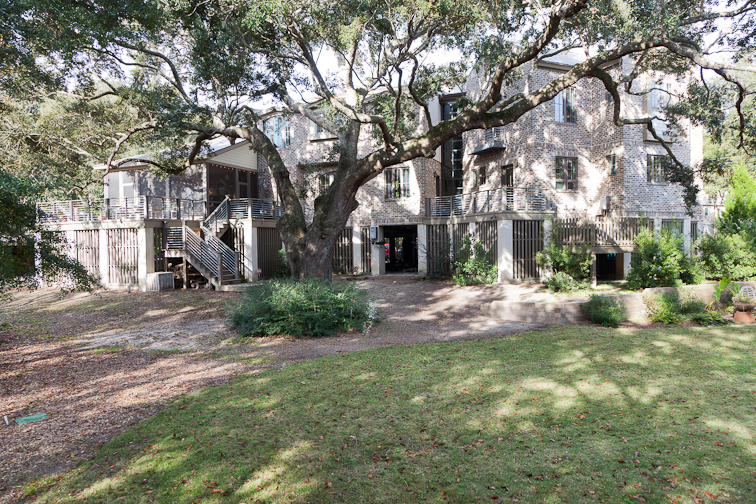 “We wandered back and found this big live oak and decided that would be good to work a house around,” Hollingsworth says. Plus, the couple loved the fact that they weren’t in an established development, so they wouldn’t be subject to a stringent architectural review process. “We’re not really subdivision people, because everything we do is a little different,” Cooper says, referencing their teeny Edisto cottage. With the site selected, Hollingsworth began putting pen to paper, turning out drawings to conjure the home she envisioned. “I always wanted to be an architect, but I couldn’t wrap my head around trig and calc in college,” she explains. 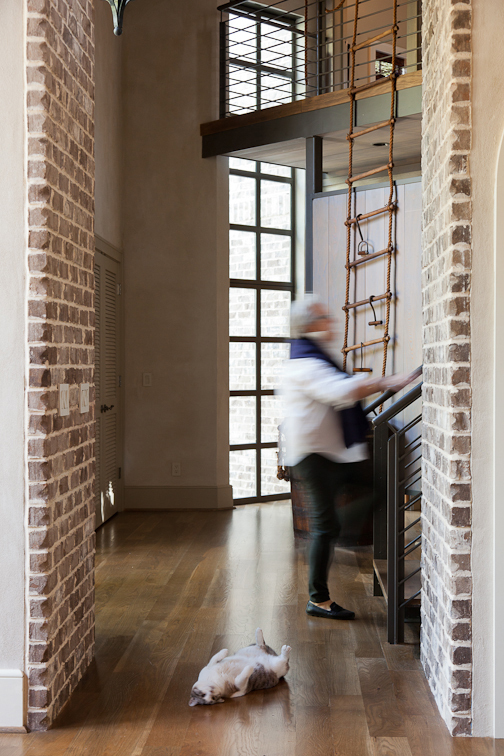 “This was my way of getting back into it.” With the old warehouses as her guide, she sketched out an open living room with high ceilings and lofted second-floor hallways hemmed in with iron railings. 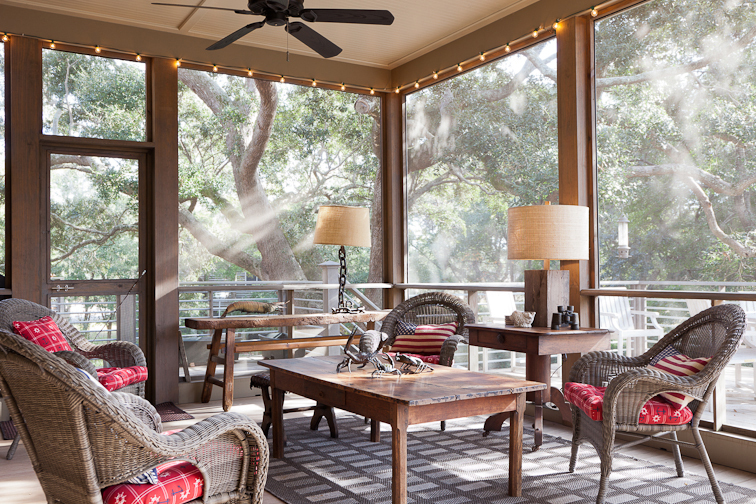 This large, airy space leads to a kitchen, dining area, and expansive outdoor sitting room and porch. 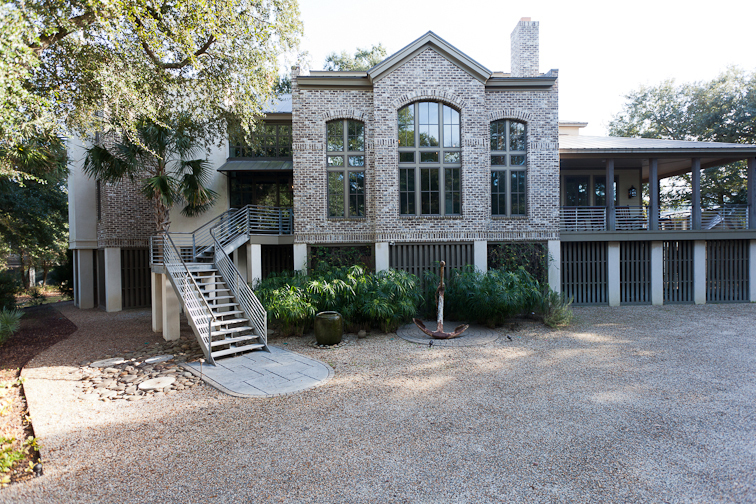 Because the house had to pivot around the live oak, Hollingsworth also envisioned what’s essentially a second, smaller building to house the two master bedroom suites. 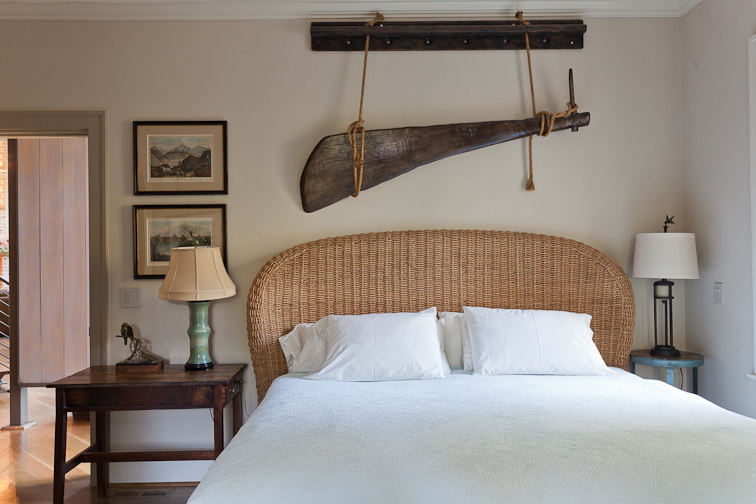 This bedroom wing runs off the main house at a 45-degree angle. “To connect the two, we decided to do something a little modern,” she says. 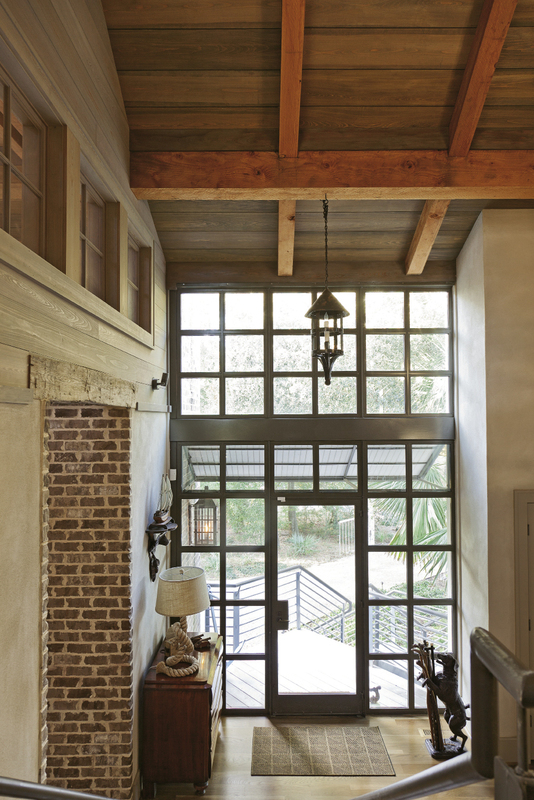 “You see it downtown sometimes, where a few old buildings have been put together and all of a sudden you see an expanse of glass.” Similarly, she drew up a recessed glass-front foyer that doubles as a link between the two wings. 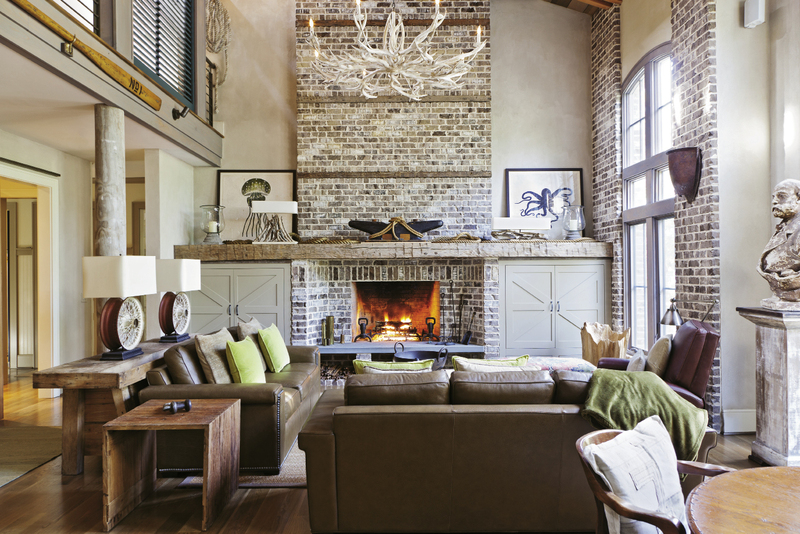 She consulted with a pro to make sure her architectural vision was sound, then teamed up with area builder Lonnie Nielson to turn the plans into a brick-and-mortar building. But Hollingsworth and Cooper didn’t just hand over the reins from there. “Deedie and I are doers, and we wanted to be a part of the whole process,” Hollingsworth says. 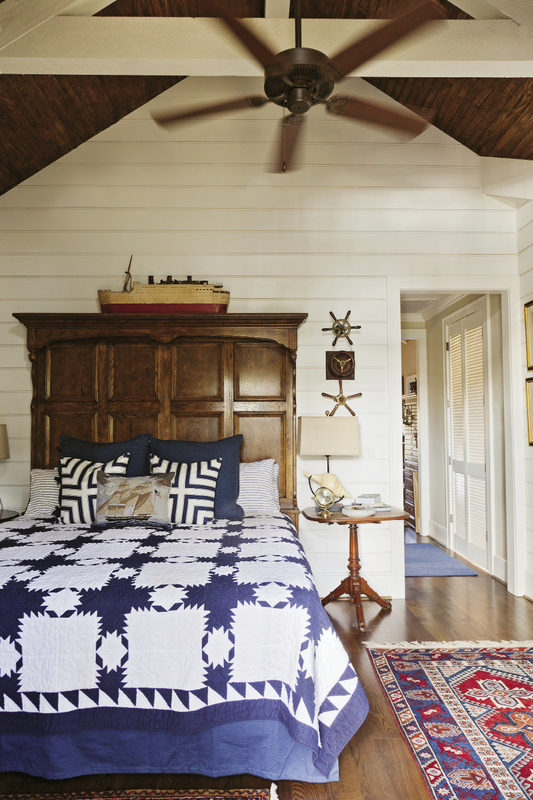 The two rolled up their sleeves and tackled many projects that most would leave to a pro, such as hand-staining hundreds of cypress beams different shades to create a collected look. “It had to be like somebody tore the wood off an old barn,” Hollingsworth explains. 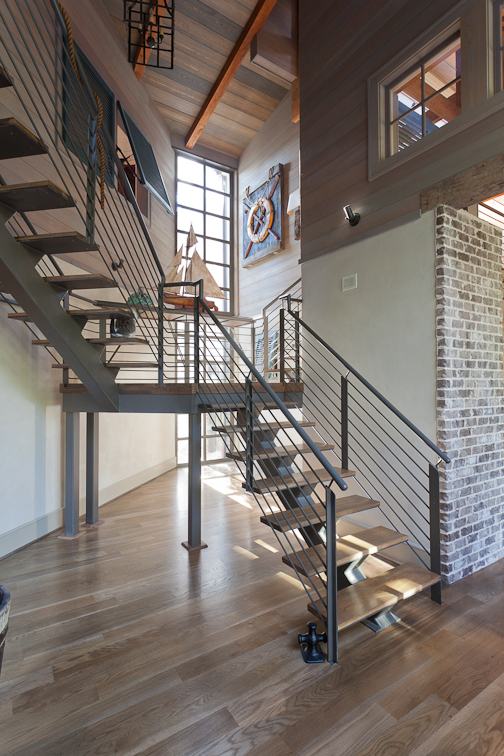 Interior designer Regina Garcia advised the couple throughout the planning and construction. “Their vision was always there,” Garcia says. “But I became part of the team, someone to collaborate with.” When it came time to design the kitchen, Garcia’s expertise was particularly useful. She encouraged the women to go with a double-entrance on the family-room side, rather than a single doorway, to maintain flow. 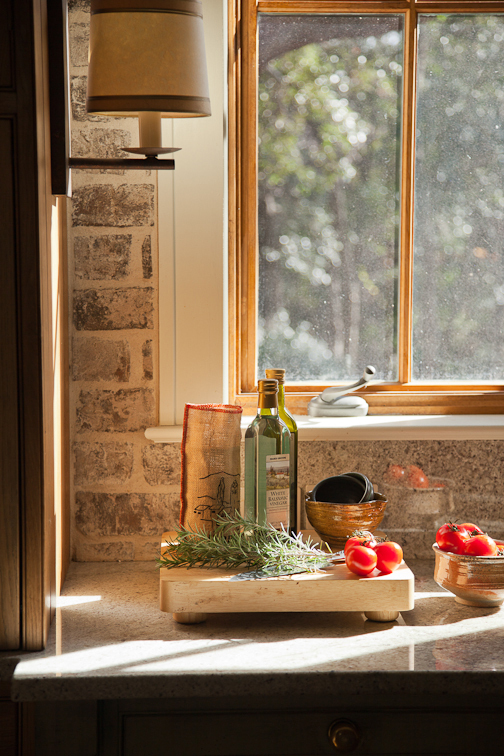 She also advised that they eschew built-ins in favor of what she refers to as a freestanding, furniture-style kitchen. “I wanted it to look like something that had developed over time,” she explains. 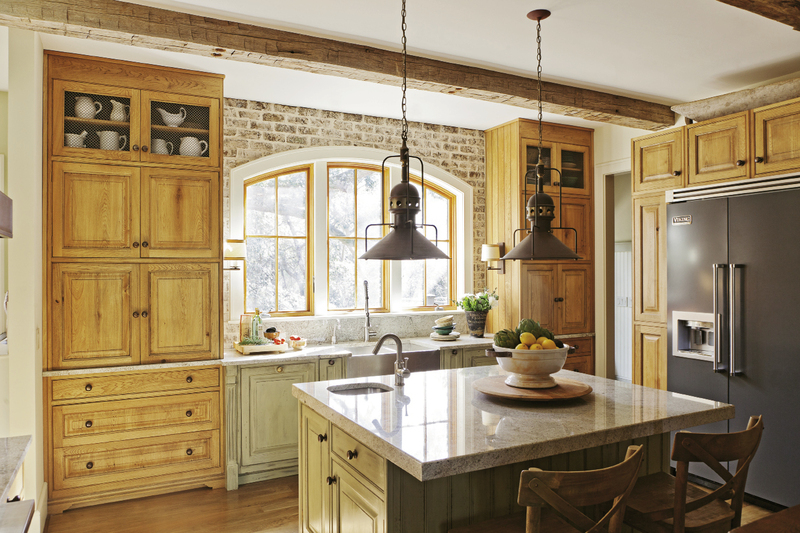 The farmhouse sink is flanked by armoires of Garcia’s own design, which were custom-built with oak harvested from trees that had already fallen; they look well-loved and fit right in with the rest of the house. And the copper stove hood was handcrafted by a local artisan, Randy Crosby of A&R Sheet Metal, then stained with a chemical to make it look aged. 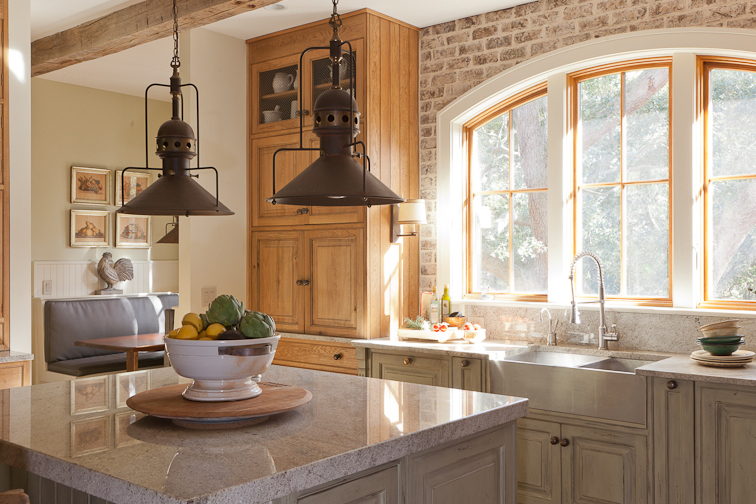 Vintage pendant lanterns and hardware made from natural bronze complete the lived-in vibe.